Shirley McCay asks is sport the exhibition of strength and the concealment of weakness…. 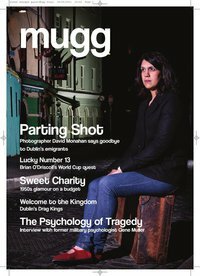 In January 2011, Irish and former Great Britain Paralympic rower Karen Cromie took her own life when she threw herself off a flyover onto a busy dual carriageway in Belfast. Two weeks earlier she was involved in a similar incident, where emergency services spent eight hours persuading her not to jump off the same flyover. Karen lost the use of her legs after an accident at university several years previous. Despite this, the 31-year-old, from Ballinamallard, Co Fermanagh, was a talented rower who was set to compete in the London Games next year. After her death, questions were raised whether Karen received adequate mental health care. As a sportsperson myself, I am fully aware of the taboo that surrounds the issue of mental health. Regardless of fame or fortune, the ticking time clock of elite physical athleticism only allows for a very short athletic career and an all-too-often transient lifestyle. Athletes strive on success, it is what keeps them motivated, determined to push for more. Success means they are better than everyone else, the fittest, the strongest, the best. But this constant desire to succeed carries with it a proportionate level of pressure to perform. And underperformance means failure. A failure to be the fittest, the strongest, the best. Where success is everything, failure can have a dramatic effect on mental health, something that athletes address through psychology. Or do they? Sports psychology is a huge part of international and professional sport. Almost every professional squad or individual has constant access to a psychologist if they wish to avail of the services. Team sports use psychologists to prepare for big tournaments, to remind them of team and individual goals, to bring a bigger picture on what ultimately are innumerable little pieces of the jigsaw. They bring the ideas to the table and the athletes react accordingly. But there is another side to sports psychology. When does an athlete make the first move? How often do they acknowledge the discrepancy and actively seek help? More often than not the psychologist will approach the team or individual first. But such is the negative stigma attached to seeking help, only a small number of people will admit to having problems. With athletes, the stigma is even stronger, creating the unfortunate paradigm of those in need of help but feeling prevented from doing so. It appears as though sports people are subconsciously wary of admitting they are struggling to cope and need help. Most athletes develop a very machismo attitude towards fixing problems, which can become a major hurdle to overcome when faced with emotional problems. In a world where any sign of weakness represents a metaphorical bull’s eye for the opposition to target, the notion of displaying mental weakness is vehemently avoided at all costs. Failure to succeed is not the only reason athletes experience mental health problems. Take the life of an international athlete who often travels abroad to train; not seeing friends, family or loved ones for months at a time. A prime example of this is the story of a top-class international cricketer. In 2008, English batsman Marcus Trescothick spoke of his crippling battle with depression in his autobiography Coming Back to Me. 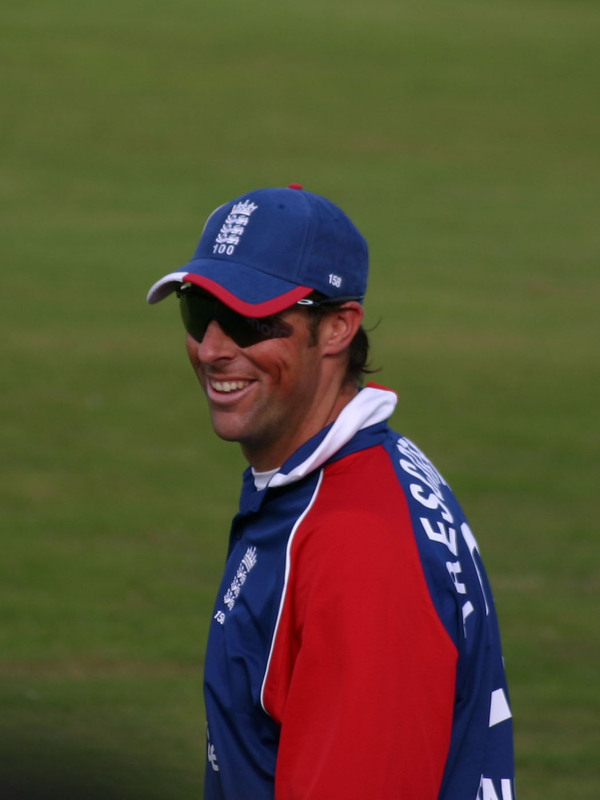 Trescothick described the bouts of homesickness, sleeplessness and anxiety that forced him to fly home during Test series in 2006. “I would not have wished my illness on my worst enemy. Depression is not the same as feeling down or fed up. People might say ‘I’m a bit depressed today,’ but true depression is quite different,” he said. It appears cricket seems remarkably adept at delivering most of the contributing factors of depression and anxiety, as tournaments often continue over a prolonged period of time. The recent World Cup in India saw teams competing away from home for up to eight months. England talisman Paul Collingwood told reporters that he felt a lump in his throat when he heard his young daughter wish that England would lose its match against West Indies so that he could return home. This was followed by the decision of Michael Yardy to return home from India just before England’s semi-final match against Sri Lanka, with the English Cricket Board stating that he would receive specialist advice to help overcome an illness that he “had been managing for a prolonged period of time”. What about the emotional torment an athlete endures when they suffer from physical injury? A recurring problem or a career-threatening injury places immense pressure on the lives of those who define themselves as ‘athletes’. Even minor injuries threaten to affect the most professional of sportspeople. One of the most famous athletes to suffer from mental health problems is double Olympic Gold medallist Dame Kelly Holmes. Fourteen months before the dizzy heights of Athens in 2004, she plunged into the depths of despair after a series of ravaging injuries threatened to end her career without Olympic success. She told reporters she would lock herself in the bathroom and turn on the taps so no one could hear her crying. Whether through underachieving, homesickness or injury, there is no denying the derailing effect of mental health on sportspeople. Participation in elite sport does not automatically place immunity upon these stresses; it often adds to them. Physical injury is so often visible and treatable, whereas mental illness is somewhat trivialised as something you can just shake off; a case of ‘pulling yourself together’. The question remains as to whether this trivialisation is reflected in the services available to those in sports that need it most. It may be argued this was the case for Karen Cromie; an athlete who made a cry for help that fell on deaf ears.